If you are looking to craft your own distinctive zombie look, then it pays to have a great mask that includes zombie style and an eerie look. 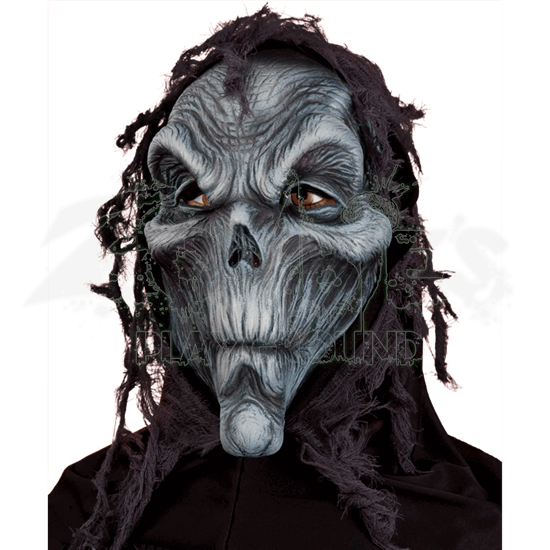 No mask combines those two features as nicely as the Hooded Zombie Mask. This scary mask depicts a ghoulish, gray-skinned face that is covered in wrinkles, making it look like a zombie that has not begun to decay, but has somehow suffered through extended years of aging - perhaps it was embalmed, or frozen for many years? The mask also includes a tattered black shroud hood that covers the back of your head, ensuring that others only see your zombie facade. The mask is made from rubber latex and features breathable netting for comfort. 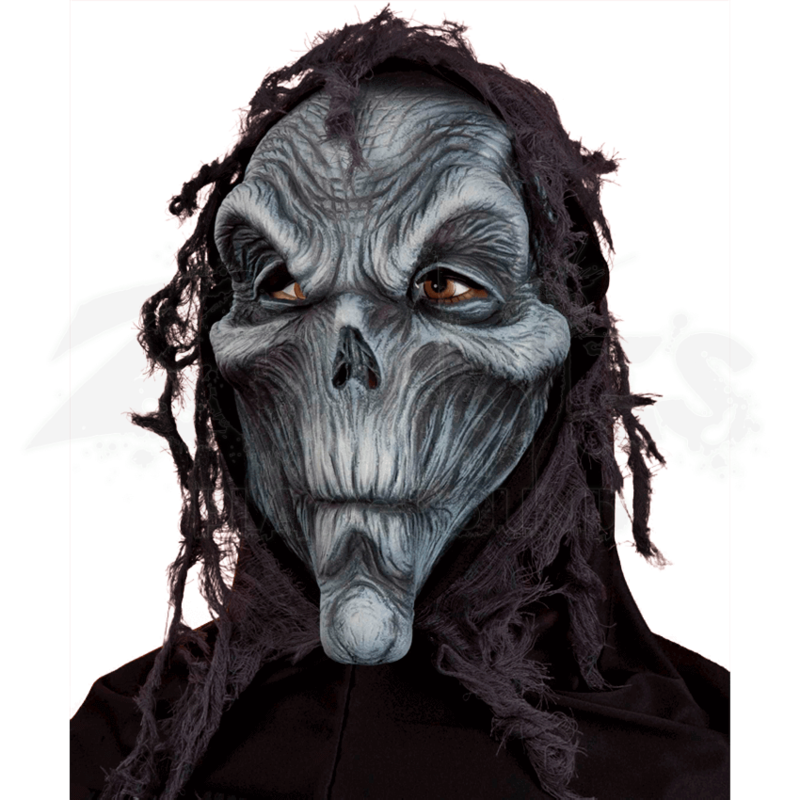 Don this mask and you will be ready for a night on the town, filled with fright and terror that you will not soon forget!